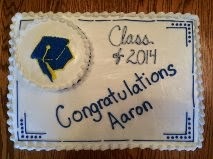 Graduation in our town isn't until this weekend, but I already had my first cake for the year this past weekend. 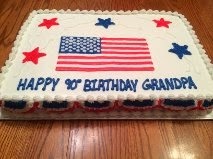 I decorate a lot of birthday cakes, but I don't always get to make one as special as a 90th birthday. 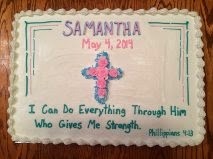 Confirmation was this past weekend also, so I made several cakes for that.